A poem by Matt Goodfellow written especially for National Poetry Day 2016’s theme: ‘messages’. 'Messages' is featured in A Poem for Every Night of the Year, a beautiful collection of 366 poems compiled by Allie Esiri, one to share on every night of the year. 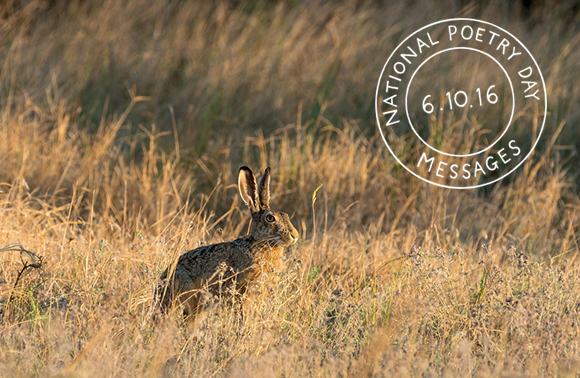 National Poetry Day is an annual mass celebration of poetry and all things poetical. It is an initiative of the Forward Arts Foundation, a charity that promotes the enjoyment, discovery and sharing of poetry. Find out more about National Poetry Day and discover special events taking place near you at www.nationalpoetryday.co.uk. Poetry is for life, not just for National Poetry Day! Sign up to the Picador Friday poem email to receive a handpicked poem straight to your inbox each week.